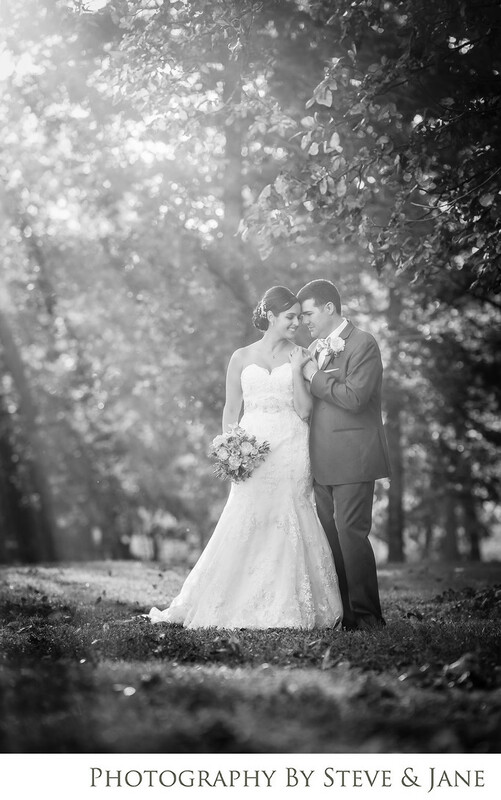 the Harvest House at Lost Creek Winery is a full service wedding and event venue located on the property of one of the top winery and vineyard locations in Northern Virginia. Conveniently located in Leesburg, VA it is hidden away from the Leesburg Outlets and suburban neighborhoods. Not far from Washington D.C., it provides a welcome respite from the hustle and bustle of our nation's capitol. When choosing The Harvest House, you have many options to fit your unique wedding day plans. You can have a weekend wedding, a weekday wedding, or even a brunch wedding. The House is tucked back in the forest, so you don't have to worry about winery guests accidentally stumbling into your private ceremony. You have access to a large well decorated bridal suite and other getting ready rooms in the top floor of the house. A full bathroom, a large mirror vanity, closet, and seating area accommodate your bridal party while they are getting their hair and makeup styled for the festivities. You can peek out the windows and watch as the event staff decorate and prepare for your outdoor ceremony. The top floor has two other rooms for your wedding party along with two full bathrooms. There's no travel time to your ceremony as it's literally just a walk out the backdoor. The grounds of the house are well manicured no matter what time of year you've chosen to tie the knot. The reception hall accommodates up to 175 guests. It's large front porch offers a nice respite from the dancing if you need a break. From the porch, you can see the vineyards and rolling hills that makes this part of northern Virginia such a popular destination. Treat your guests to a scrumptious spread of food placed artistically on The Harvest House's unique wine barrel buffet table by the highly trained catering staff. Complimented by Lost Creek Winery's award wining wines, it's a delicious feast that your family and friends will talk about for years. Chardonnay, Vidal blanc, and Rose are just a few of the delicious and unique wines they offer at the winery. Say thank you to your wedding party or family with a bottle of this award winning wine. When your reception has ended and the wine is gone, have your friends and family send you off with a sparkler or glow stick exit. The long path leading from the reception hall to the driveway is the perfect place for your friends and family to line up to send you off in style. Hire a local shuttle service to take your guests from the Harvest House back to one of the hotels in Leesburg. Guests can choose to stay at the Leesburg Colonial Inn, closer to the historic district full of locally sourced restaurants and boutique shopping. The Days Inn and Comfort Suites are situated closer to the very popular Leesburg Outlets. Either way, a shuttle service is the best way to make sure all your guests arrive safely after enjoying all the Lost Creek wine at your reception. Reston Coach and Chariots for Hire are two popular and reliable shuttle services in the Northern Virginia area. If you are opting for a honeymoon right after your wedding, Dulles International Airport is only 30 minutes away and offers flights to a variety of exotic destinations. United, Southwest, Virgin, Delta, and Alaska Airlines are just a few of the airlines that service Dulles and the surrounding D.C. Metro area. The close proximity of this airport also makes it very convenient for guests that require air travel to arrive at your wedding. Location: 43277 Spinks Ferry Rd, Leesburg, VA 20176.